Beginning the new year with a blasting party in the eve is something special each year. The fun and festive mood switches on in the new year from the eve. Fun, joy, excitement, friends, party, music and much more makes the new year eve most exciting. It is always good to start the new year with an amazing celebration as it rejuvenates our soul for fresh year free from clutches and embracing joy. The new year celebration can’t be authentic without music & dance, especially with native music. The dance and celebration go to its peak with the folk music. Folk music has the true spirit of nativity and Malang Music brings the authentic Rajasthani Folk Music to give an ecstatic experience to your soul. Malang is one of the popular and experienced Music group from Jaipur taking the Rajasthan Folk Music to the world for many years. Malang is founded and led by Bundu Khan Khandela the lead singer of the group. His passion is to entertain the people and to awaken the true emotions of folk music. With attractive performances in singing and dance, Malang would give you a best and different experience in this New Year. Do not miss the Rajasthani folk music and dance bash for this New Year. To enjoy an untried party, book Malang music group that brings the spirit of folk to you with impeccable singing, music and dance performances.Break the monotonous events, Malang Music is all set to bring the unseen performance to make your New Year special than you expect. Best Folk Music and Dance Group. People have their own reasons to love folk music. Folk music is entwined in the hearts of the people. Folk music connects the hearts to the nativity no matter how far the person is from native place. Need a customized Rajasthani folk music group for your event ? fill below form and click on submit. Malang Music Group have performed vibrantly in Jaipur, Jodhpur, Udaipur, Bikaner, New Delhi, Gurgaon, Chandigarh, Indore, Bhopal, Ahmedabad, Chennai, Bangalore, Hyderabad, Kolkata, Siliguri, Guwahati, and Rural Cities of India and in Abroad Cities Dubai, Qatar, Riyadh, UAE, Oman, South Africa, London, Sydney (Australia), Newyork, Washington,Germany Etc. 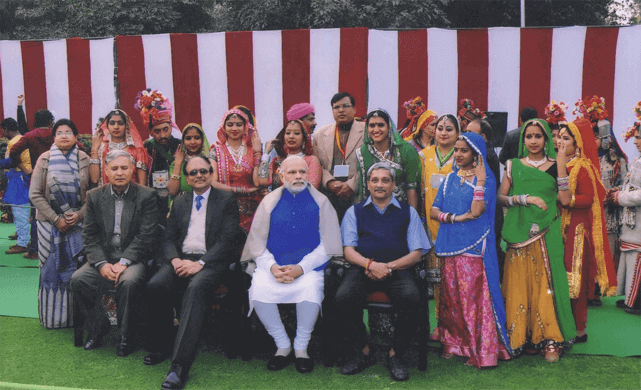 Especially our Rajasthani Folk Dance Troupe & Langa Manganiyar Singers Group have given Many successful shows in many Corporate – Private – Wedding Events. Exploring Folk Group and Dance in Jaipur, Delhi NCR, Dubai, UAE, Germany, Anywhere Globally. Rajasthani Folk Music, MALANG MUSIC GROUP is one of the best. With amazing performances in singing and dancing, Malang holds top place in top 10 Rajasthani Music Groups for a wedding, cultural, marriage anniversary, birthday events. We perform foot-tapping songs and beautiful dance styles in different corporate events and ceremonies not only in Rajasthan but also in Mumbai, Kolkata, Pune, Hyderabad, Bangalore and in many other places. "Music is the greatest sound in the world. Wonderful dance group and kalbeliya dancers. Thank you Malang Music Group." Malang Music Group is rooted from Jaipur, Rajasthan. Having the Rajasthani folk music in every breath, we bring the exact soul of Rajasthani folk to the world. Spreading the spirit of Rajasthani folk music to the world has become the integral part of Malang Group. Rajasthan has artistic and cultural traditions which reflect the ancient Indian way of life. Malang Music Group, is presenting this culture to the world from last 10 years.